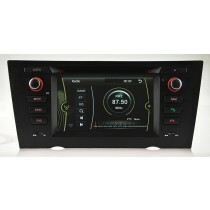 For BMW car owners who require a good aftermarket gadget for entertainment in the car, the in-dash BMW Navigation DVD player multimedia system should be the best in car dvd navi replacement nowadays. Whether you have a BMW 3 series(E46 or E90 or F30), BMW 5 series E39, E70, F15 or BMW X5 E53, you can install a quality navigation DVD according to your BMW model. 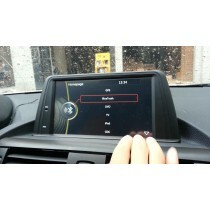 All our BMW navigation DVD head units are upgraded with Android system now, most can be upgraded with Android 8.0 system. 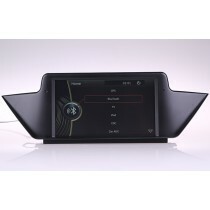 The BMW navigation stereos are the most attractive head unit because of the desirable features of the BMW nav dvd which has the ability to play DVD movies or music on a large HD touch screen, and it's built-in GPS navigation system. We provide different customized models for different BMW car models. If you have a BMW E46, you can buy and install the BMW E46 navigation, while if your car is BMW X5 E53, you can choose the BMW X5 E53 DVD, if you don't know which bmw navigation system can fit your car, we can also help to check which head unit is compatible with your car. 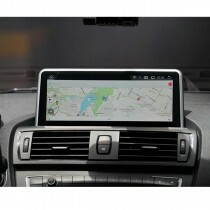 Besides, new BMW Navigation units are still developing. Can this BMW Navigation DVD fit my car? > If you can not make sure which unit fits your car, just feel free to contact us by sending your car model, manufacture year and a dashboard picture would be the best. Can the BMW navigation support steering wheel controls? > Absolutely yes. All our BMW navigation DVD units can support factory steering wheel controls because there's a CAN-BUS decoder included in the package or built-in the unit. 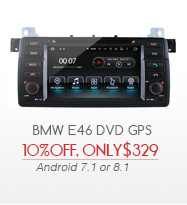 If I buy this BMW Navigation DVD, how much is the shipping cost to my country? > When placing an order on our website, you can choose to ship by EMS or DHL, UPS, FEDEX, you can check the shipping cost for the BMW DVD for different shipping methods after you add the item in the shopping cart, then you can calculate the shipping cost on the shopping cart page. Can you provide GPS Maps for navigation? 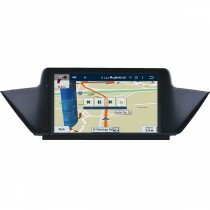 > Yes, if you buy navigation unit from us, we will pre-install navigation maps for your country for free, our GPS maps are available nearly all over the world. If there's update for our free maps, we can send you a link to download it and send you upgrade instructions, upgrade is also free. 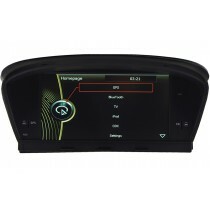 Check the videos for these bmw navigation dvd on our Youtube channel.